Posted on May 13, 2013 by Thorsten R.
Subtle variations in sea color and surface reflectivity are rendered at high quality, which together with slighly patchy fog improves the visual impression significantly. In addition, an experimental effect generating surf at some coastlines is under active development (coast of Lanai, Hawaii from the EC-135 cockpit). 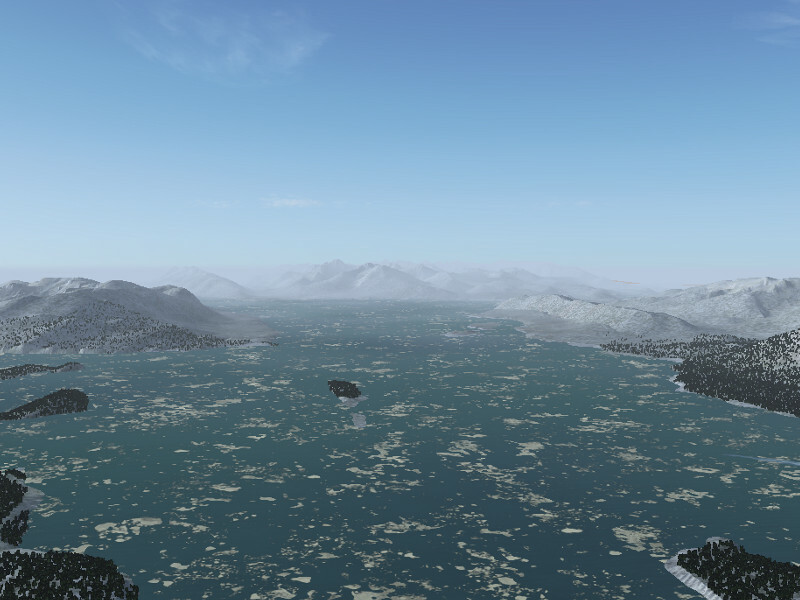 The environment control allows to a drift ice overlay effect to render winter scenes in cold climate (coastline near Juneau, Alaska). 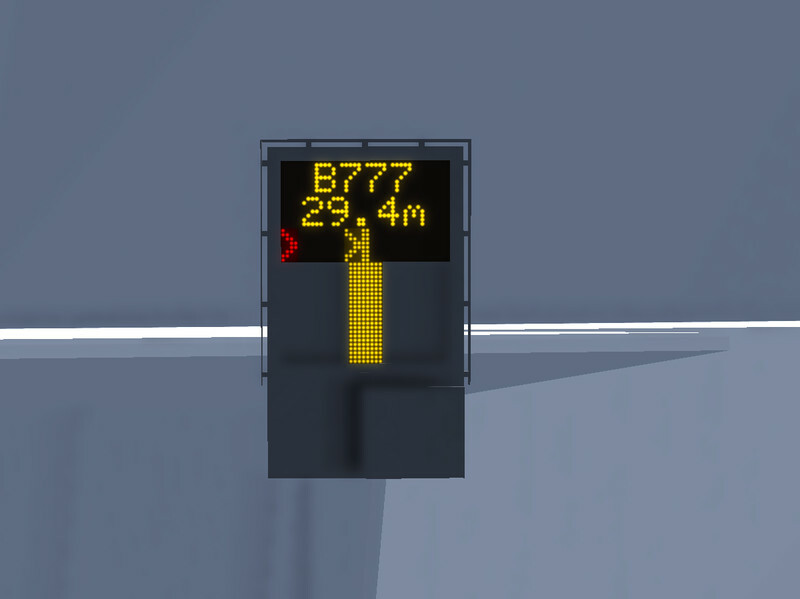 A new tooltip system has been added, identifying knobs, gauges and levers for the new user and also indicating their value, thus eliminating the need to zoom to read badly visible instruments. On-screen messages are rendered in a new gnome-like semi-transparent window style. 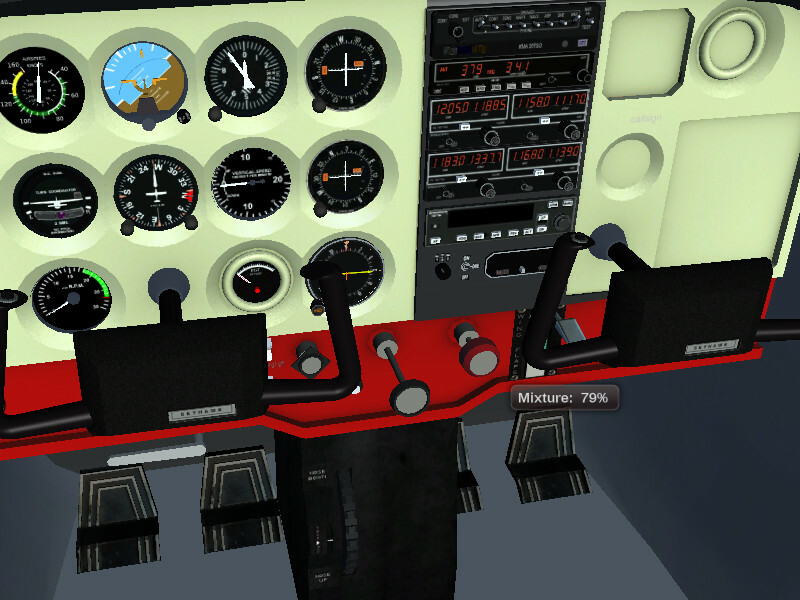 These changes are part of a larger restructuring of the user interface, which standardizes the interaction with cockpit clickspots and adds a more intuitive view mode by right-click/drag as option. The balance of direct and indirect light has been re-adjusted to simulate the self-shading of terrain better. 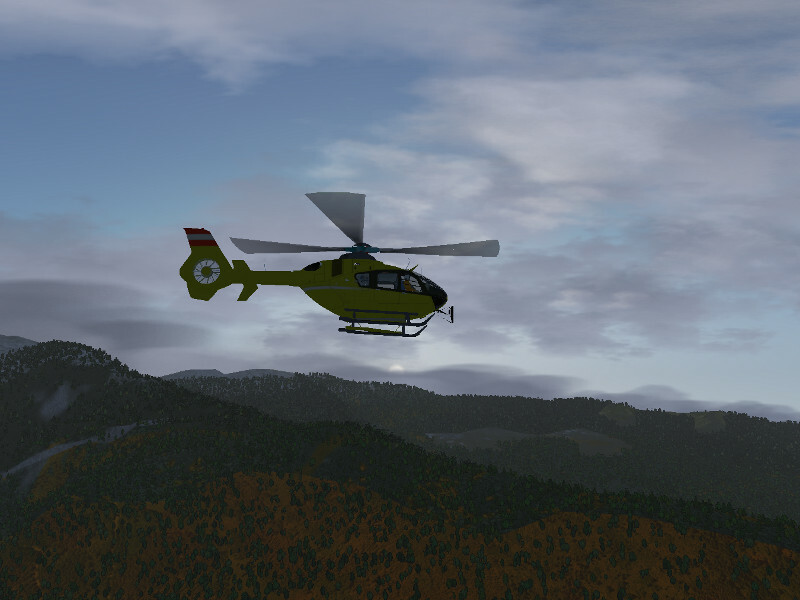 In clear weather, shaded surface are now rendered much darker, leading to much improved visuals in low morning or afternoon light (the B-1900D over the French Alps near Grenoble). The air to air refueling system has been much improved. It now contains a menu to select tanker type, speed and contact radius. Two new tanker planes have been added, and the contact points are now correctly specified, allowing for a much more realistic aerial refueling experience. 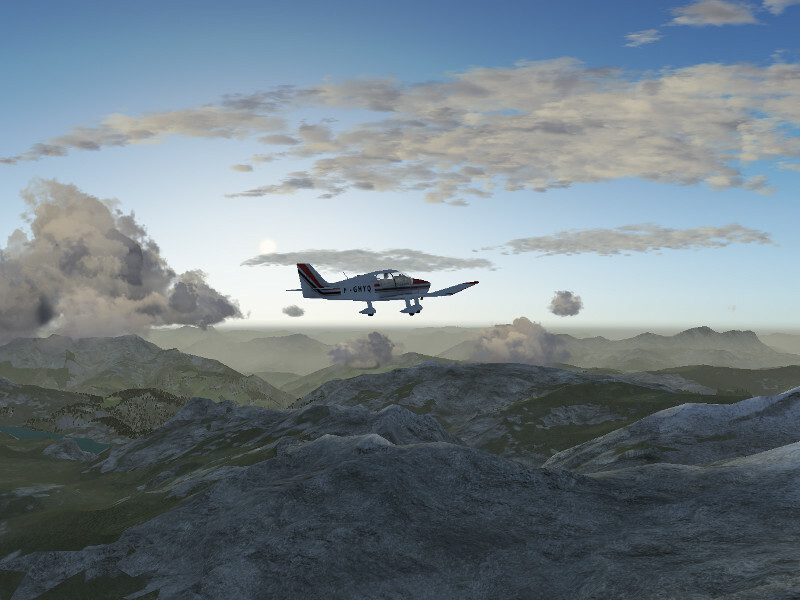 A high resolution shader effect has been added to the procedural terrain rendering of the Atmospheric Light Scattering framework, which renders cm-scale detail resolution. 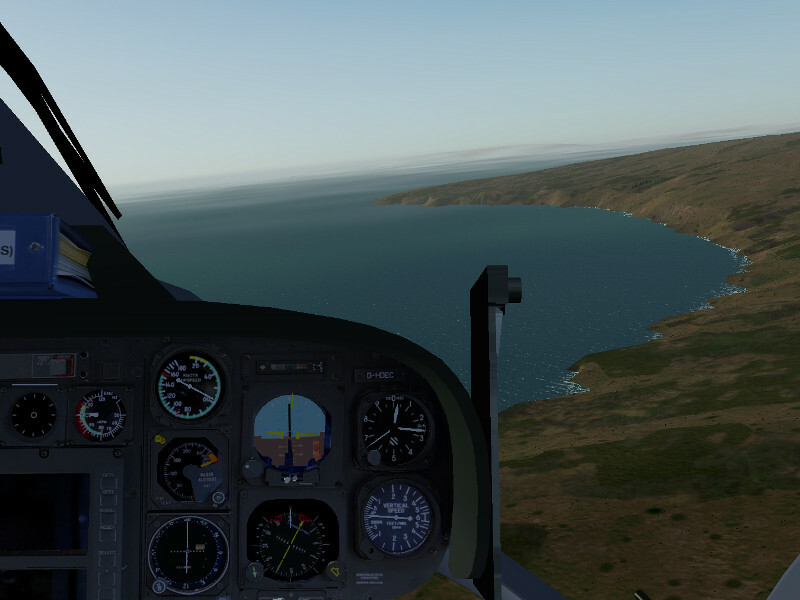 This allows for a much improved low level flight experience and more interesting helicopter operations in the terrain, as there are now visual markers available to gauge distance to the terrain (the EC-135 landing on Lanai shrubland). The weather system has received a major upgrade. The grouping of sparse clouds into patterns is now much more realistic, replacing simple clusters by visually more interesting undulatus or wavy patterns. As part of these changes, the rendering of low visibility scenes in Atmospheric Light Scattering has also been made more consistent. 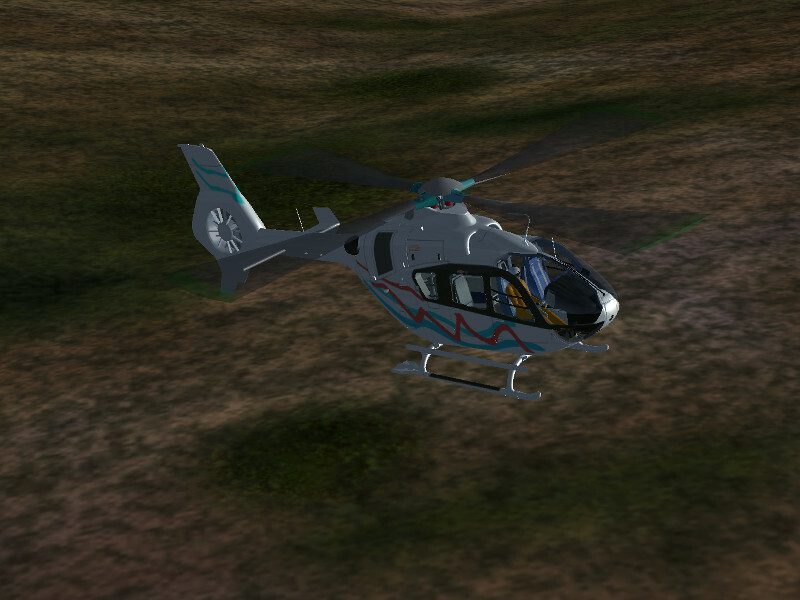 The Eurocopter EC-135 is currently undergoing a major overhaul. 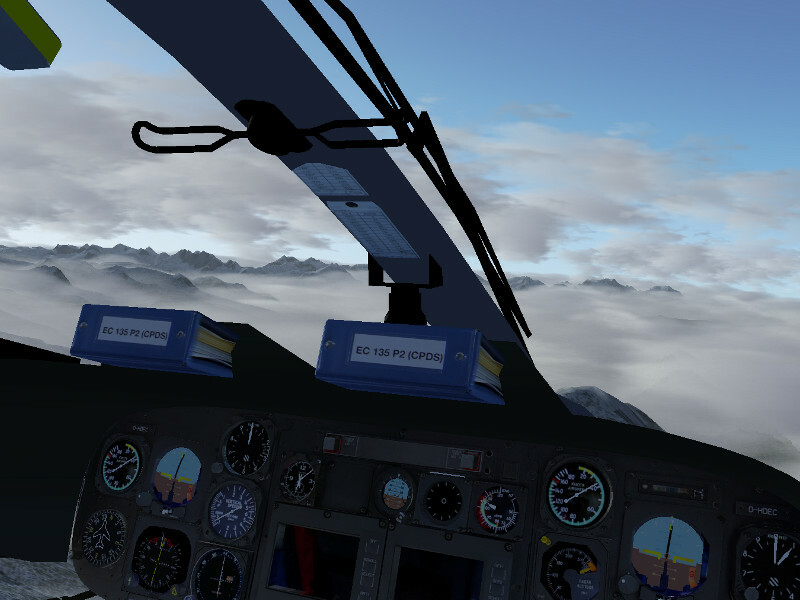 The FDM is completely revised, leading to a more stable experience in level flight, and the cockpit is done in high-resolution photorealistic texturing (over the French Alps, close to Grenoble). 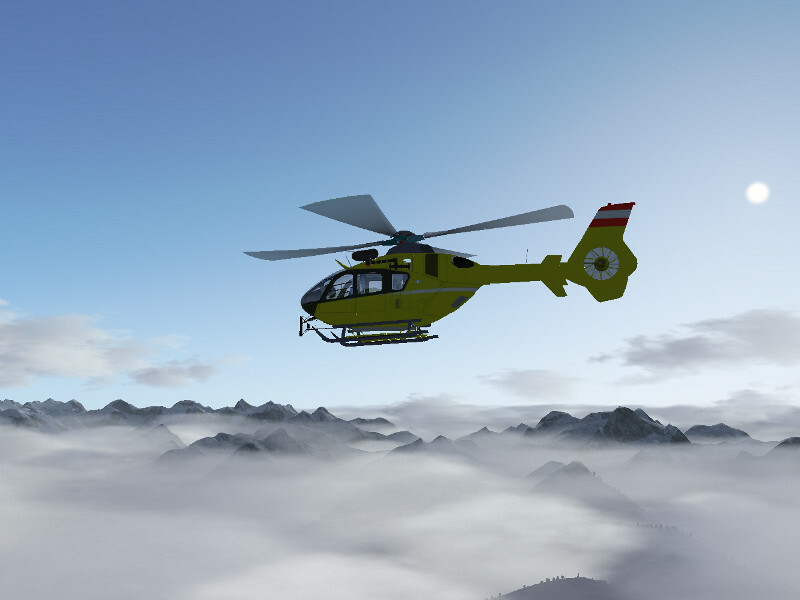 A large selection of different models is provided, all with different liveries, equipment and slightly altered FDM (over the French Alps, close to Grenoble). Canvas is a technology to render 2-d information into the scene – it can be used for complicated instruments or a HUD. 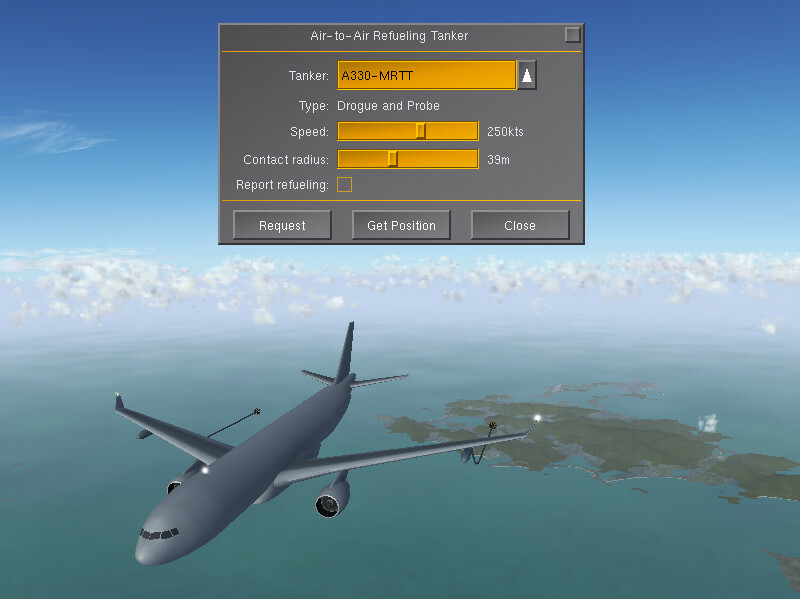 However, it has now been extended to be applicable to scenery objects as well – this allows for novel features such as airliner docking guidance systems as shown here. As part of a restructured tree shader, deciduous trees now shed their foliage if they are above the snowline, thus they adapt to the shader-drawn snow effects better. In addition, Atmospheric Light Scattering includes now an experimental season effect (mostly tested for Europe) which allows to simulate the autumn coloring of deciduous forests and pastures. This has got to be one of my favorite versions to date (v2-10 that is). My heart simply skips a beat when I see this view! Is FG the best of it’s kind? Does anyone have any other recommendations? I’m looking for 64bit Architecture. I heard Steam Valve just released something. Awesome article! Thanks! Yes, FG also comes in a 64bit version. This improvements are really amazing and makes me impatient already but what about perfomance increase? I mean for integrated video cards (laptops). Can we still enjoy to our beloved FlighGear on such a machine? Also what will happen to the 2.10 aircrafts and scenery (I must again download them)? My understanding is that FG runs on integrated video cards, but with rather minimal settings. If you run 2.12 with the graphics typical for 2.0, it actually should be a bit faster, there have been performance improvements to core and rendering frameworks. The reason for low performance on integrated chips seem twofold – the Intel chipsets often do not come with adequate OpenGL support, and since the FG rendering is based on OpenGL, this is a problem. The second item is that integrated video chips are rather low powered and really not intended to run high-performance shaders – so lots of the new graphics options demands just too much performance, and these settings are really intended to be used with high-end video cards. So in summary, yes, there has been work on performance increase, but the high-end graphics options are for high-end machines. Great post, thanks Thorsten – great to see the results of your hard work (and that of others within the FlightGear community). I think you’re doing a great job communicating and showing the new features! I see that there is certain airlines printed on the boeings and MD series, I was looking for an Eastern Airlines dc-10 or Lockheed Tristar. I was asked to be a pilot on the their virtual site. Any chance of the Farman IV and the Demoiselle being bundled with the next pack? It’d be nice to see the default plane list include more of 1909 – and it isn’t like the avionics need much updating. I hope you will consider adding support for the Oculus Rift HMD! Is there a plan to introduce detailed ground physics? I mean, different/specific ground friction depending on which type of surface you are taxiing on. It seems like all ground is made of one big unique asphalt texture. You can even land on water like if you was on a runway… That spoils the experience. Do we have also a chance to see one day an autogen working for airports/airfields to populate those ones? 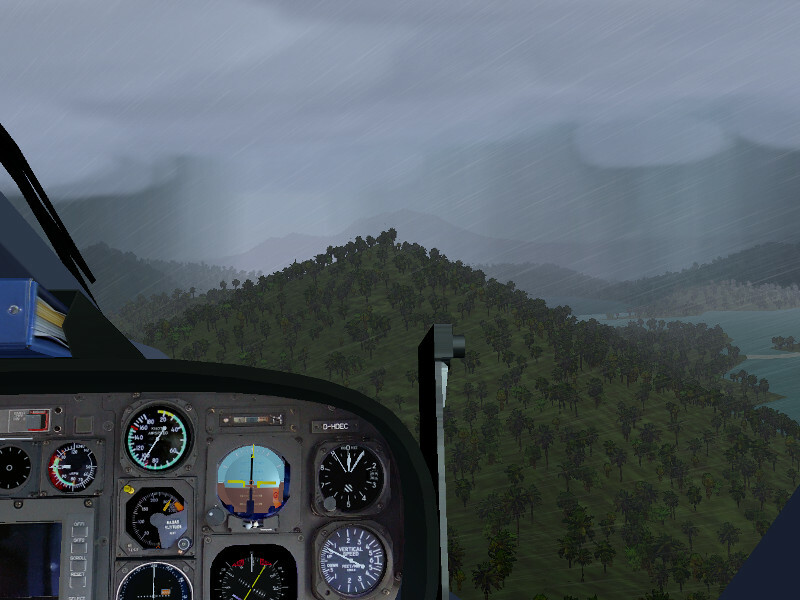 Anyway, congrats for your team work, your weather engine is even better than X-Plane one! Friction coefficients based on terrain type are defined and provided by the terrain model. YaSIM aircraft have some default behaviour for ground interactions, but JSBSim aircraft do not – so for the latter, it’s up to the aircraft creator to specify what to do with ground interaction. As a result, some planes (e.g. the MiG-15bis) break in characteristic ways when stresses exceed tolerances whereas others just bounce (e.g. the F-16). So my impression is that this is possible even now (some people have created ships or cars to explore the FG world), but needs to be done on a per-aircraft basis. As for autogen to populate airfields, there has been talk, but I am not aware of any concrete project in this direction. One last thing (well, not really the last one but I don’t want to bother you) concerning the rendering you are aware of ; is there a way or is it planed to make ground texture transitions better than they are now ? I know that we can now use procedural rendering but it will surely be a bottleneck for small PC configurations. I even fear to try this on my old Macbook Pro (Geforce 8600m 256Mo). So, is it possible to avoid the “harsh” texture cutting/transitions we have now without procedural rendering ? That would improve a lot visuals. Or do you have to recut the scenery files to include texture overlays, sort of ? I’m not a developer so maybe I’m missing something… That a pity because I would like to work (I mean hard coding) on FlightGear project. Anyway, thanks again for reply. There is no way to simply smooth the transition lines over because pixel shaders do not have any adjacency information, i.e. processing a pixel of one landclass, you don’t know what is nearby. Moreover, you’d want to smooth a beach in quite a different way from a agriculture-road boundary (which is a pretty hard transition in reality as well). Phototexturing or equivalently pre-smoothed textures have no seams, but run into severe memory issues once you want to have both realistic visibility and high resolution on the ground. Complete procedural texturing would need metatextures rather than vector landclass data and use even more precessing power then the current most expensive scheme. Both strategies would require substantial changes to the way terrain is generated and stored. Phototextures face the additional problem that it’s very difficult to get good GPL-compatible material. A procedural strategy based on metatextures has been discussed, but with no concrete plans. Given the terrain data we have available under GPL, it’s unfortunately a very tough problem. I am happy for this news.. Can’t wait for this next-release.. Please look into this and reply me on either e-mail or facebook.. Facebook ID Krishnal Kavit Singh.. Profile Picture is me standing in front of 777-200 Air NewZealand.. Looking forward for your reply.. I am a 1 year old kid from the small islands of Fiji..
please have a look, assemble the required info to debug your problem and get in contact there. Wow! I’m so happy this is the year I chose to focus on flight sims on Linux. 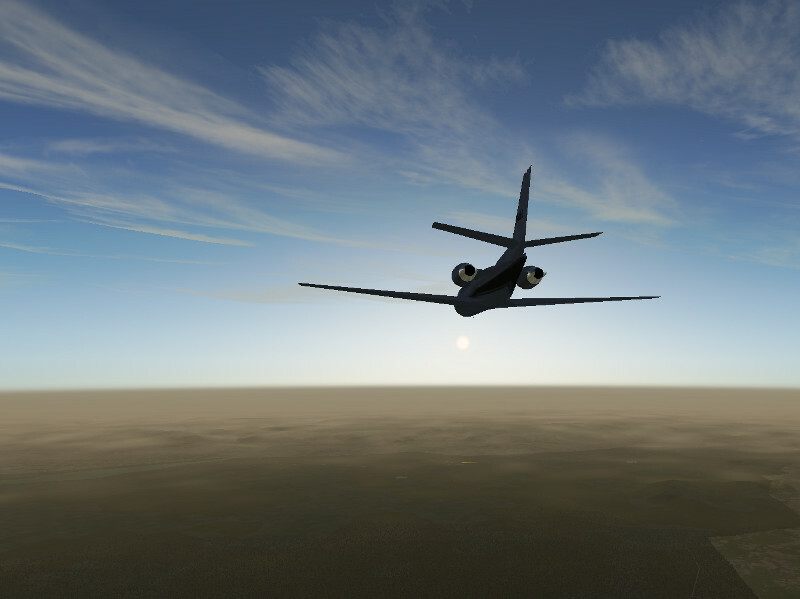 I bought X-Plane 10, a Trustmaster joystick and…then discovered FlightGear again, nearly 3 years after I tried it out for the first time in the Cessna 172 on KSEA. At the time I wasn’t too impressed by the visuals and although it seemed interesting, I didn’t have a flightstick and so it didn’t take too long to move on. Also, FGRun wasn’t included by default and that sort of nailed it for me. 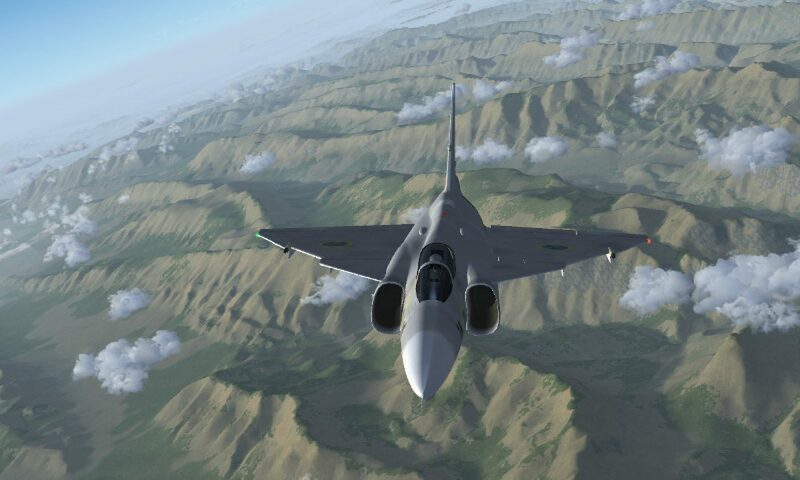 And then when I tried FG again this year, the sheer quality of the sim, visuals, ease of use especially regarding automatic terrain download and extensive collection of quality aircraft impressed me tremendously. And then 2.10 came out further improving the quality and made me completely hooked. And then, this… just wow! …ok enough rambling. Now, I really like the quality of the presentation in this article. Thing that I have in my mind is something similar to the video below which is from RiseOfFlight war game. But it is still way behind the best one I have ever seen from Truesky , but that is expensive though. I have started playing with codes and I hope someday I can contribute to this amazing project although I think it takes ages to become a professional programmer like you guys. cant wait for the new FG!!!!!! I only can say WOW! I appreciate your work and all the headache that turned into this beautiful release. Does flight gear support cloud shadow? If not do you plan to add this feature? So far I have only seen this in X-plane! Right now Atmospheric Light Scattering simulates a mean light attenuation underneath cloud covers, i.e. you get credible shading of the terrain by clouds for broken or overcast conditions or in the presence of diffuse haze. I guess what you mean are the hard shadows cast by individual Cu clouds which are currently not supported. I am toying with several schemes to make such shadows work, but so far I have not been able to come up with one that isn’t either too slow or has artefacts under some conditions. So there are plans, but in all likelihood not for the next release.